Do you ever spot something fantastic that you haven't seen before on Pinterest only to find out it's been around a couple of months? I'm wondering how in the world I could have missed this. I followed the above pin to Desire to Inspire and found this post about this house by McGill Design Group. 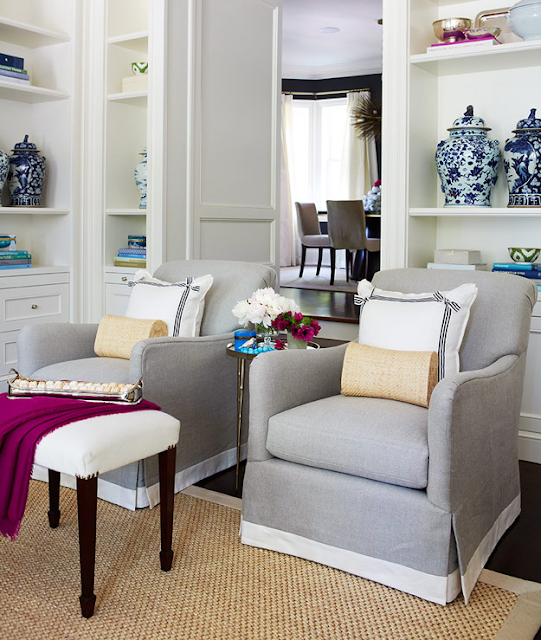 Of course, I love all of the blue and white porcelain used, and the navy and white, but I'm also very interested in the pretty details like the ribbon bows on the pillows. This room makes me feel good. It's so light, bright and simple without being minimal. Those flowers aren't hurting either. Do you ever look at a photo like this and imagine it without the flowers? I do, but my brain wants to add them back asap. Rooms always are more appealing with pretty florals. 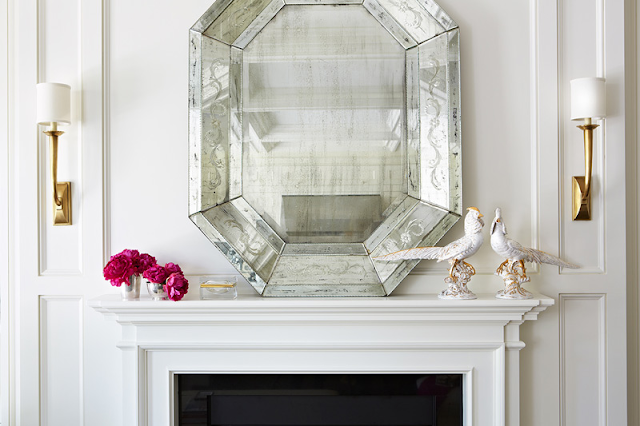 What do you think of antiqued mirror? When it's done softly like this, I like it a lot. 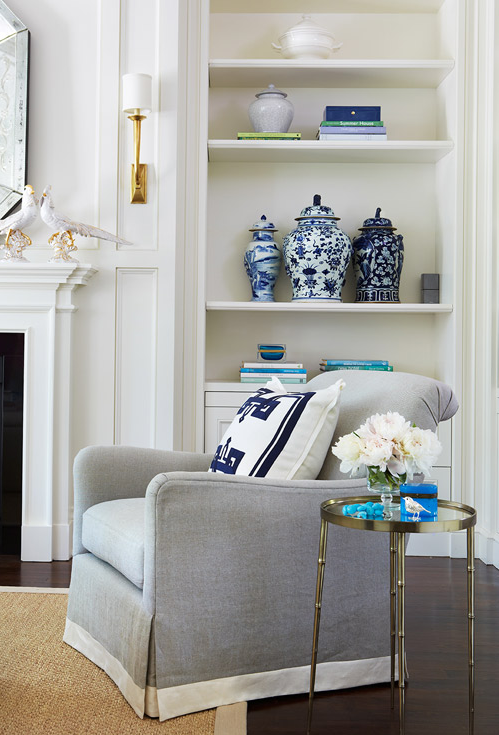 It adds character and interest. I don't care for harshly antiqued, however, where you see strong distressing and contrast. 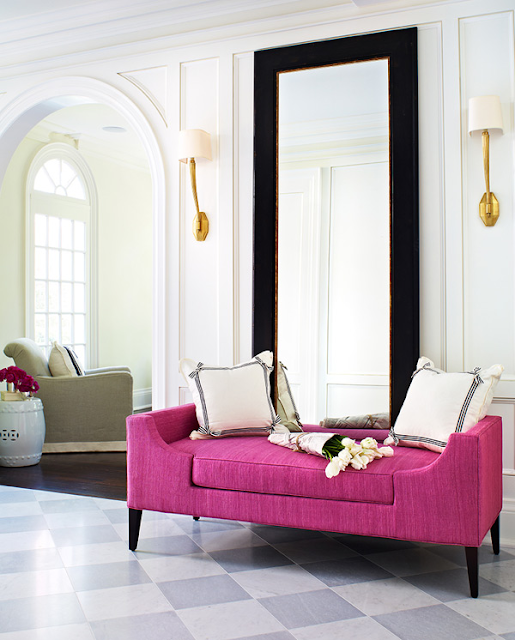 I love the idea of putting lots of strong pink in the foyer in the way of upholstery. I've been considering that in my own house and think it may have to happen. I'm searching for the perfect settee. 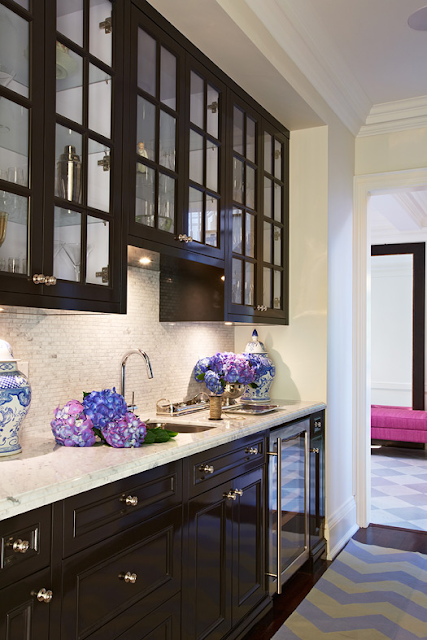 This kitchen looks like one in which I could spend lots of time. 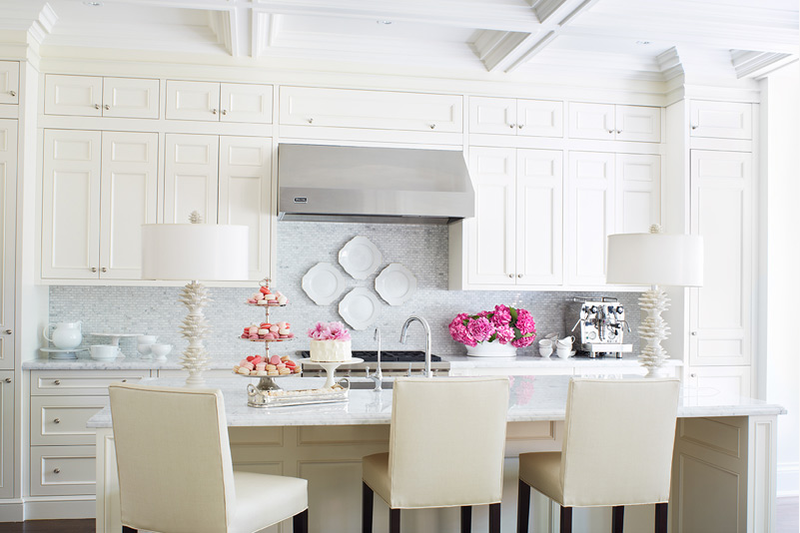 Again, the flowers, cake and macaroons may be influencing me a bit, but I love all of the white cabinetry, the lamps (though I'm sure they'd be broken in a week at my house) the chairs, backsplash and ceiling. How could I not share this with you? It is absolutely beautiful. If you had an event where you needed to be this formal, would you wear a dress with a Chinese porcelain motif? If it were this dress, I'd do it in a heartbeat!